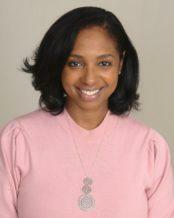 Education: I received my BA in Psychology from Spelman College in 2005. I went on to study Counseling Psychology at Towson University and obtained my MA in 2007. I completed my Doctorate in Clinical Psychology at Argosy University, Washington, D.C. campus in 2012. I use a variety of tools to connect with people, help them explore underlying reasons for their behaviors, and redesign their relationships with themselves and others. Through a collaborative process we will discover your vision of positive change and the future.